New Shows starting April 1, 2019, with new program platform. I addressed " Me Too" and the need to forgive in order to be forgiven. But if ... See More you do not forgive others their trespasses, neither will your Father forgive your trespasses. 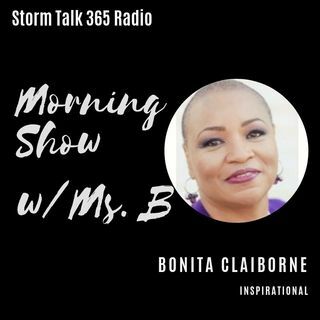 The Morning Show's host, Ms. B has a sincere desire to offer encouragement to all individuals regardless of their spiritual or religious affiliations.Ms.B 's hope is to increase interest in making positive lifestyle choices while promoting good character traits and encouraging spiritual growth and overall human development. All rights belong to its original owner/owners. For entertainment purposes only.